Don Jr.'s Russia scandal may have one little upside for the White House: Two sources close to the health care negotiations told me they're pleased it has distracted the "resistance" movement and moved much of the media spotlight away from McConnell & co.'s negotiations. Top White House officials and McConnell World sources share a mantra: Every day that passes without a third Republican senator coming out against the health care bill is a victory. That's why the surprise vote delay for McCain's surgery recovery is so perilous: It gives the bill's opponents another week to hold protests, run TV ads, and remind squirmish purple-state Republicans that the ACA has twice as much support as the Republican's alternative (50% to 24%, according to today's ABC/WaPo poll). Everything hinges on getting the bill to the floor by finding 50 Republicans who will vote for a "motion to proceed." If McConnell can't do that, it's over. McConnell is privately telling senators, per our sources, that they if they vote against the motion to proceed they're effectively arguing that there's nothing wrong with the health care system and the Affordable Care Act markets are just fine. He's telling them they'll have virtually unlimited opportunities to amend the bill. The White House is trying to preemptively discredit the CBO score of the bill, with officials Marc Short and Brian Blase writing in a WaPo Op-Ed: "Although the media and the political left will certainly seize on it, the CBO's estimates will be little more than fake news." Nevada Gov. Brian Sandoval remains a pivotal figure because the administration knows he has a huge sway over Nevada Sen. Dean Heller, a moderate (and hugely vulnerable) Republican who still hasn't decided whether or not to support the bill. Nobody I've spoken to thinks Sandoval – a big fan of the Medicaid expansion – will ever support the bill. So a victory for the White House would be just getting him to keep his disapproval muted. Bottom line: All the Republicans close to the process are extremely jittery about this bill. 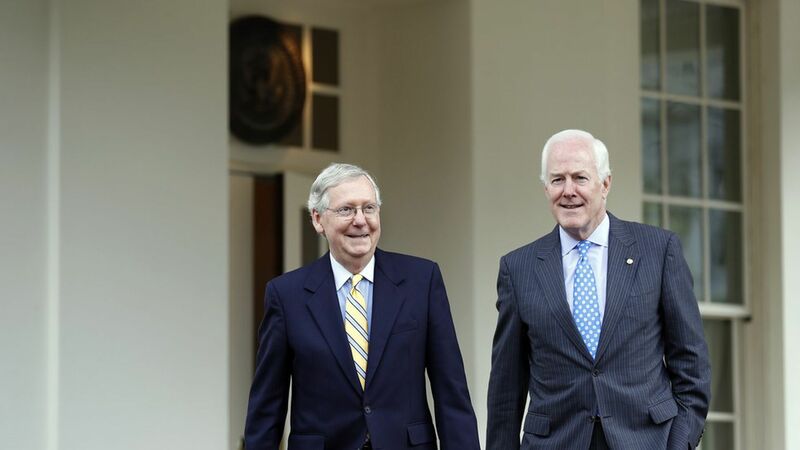 "We'll see if McConnell can pull a rabbit out of his hat," one said. "But not every hat has a rabbit in it."